1) Lazy Yak is the first effort from the guys at CUB to spin off the Fat Yak beer into its own range. Despite my initial misgivings, it makes sense – Fat Yak is apparently the best-selling beer in the Matilda Bay range but most drinkers didn’t link it with Matilda Bay. So they decided to create another beer with the Yak name. CUB is running a business and if they see a market segment that’s succeeding of course they should try and exploit it. 2) The names for the two beers are a bit dodgy – Fat Yak and Lazy Yak. Not sure too many brands would be happy to be associated with the words “fat” and “lazy”. 3) The claims on the label are a bit odd. It refers to “a unique combination of hops added to the brew” but doesn’t name any of them. Also, the suggestion that no one has ever made a beer using this combination of hops seems a bit hard to swallow. One of those hops is their “signature hop” which again they don’t name but claim it comes from “the Yakima Valley at the foothills of the Cascade mountain range”. If this is for newbies, why mention Yakima Valley, which virtually none of them would know? And why do that but omit the more relevant fact of what hops are in this? Weird. 4) Geeks – myself included – reacted unkindly to news of this beer. I felt the last thing Matilda Bay needed was another pale ale and mocked the idea that it was meant to be a more easygoing version of Fat Yak, a beer that isn’t exactly overwhelming. But I soon realised that to mock the beer before I even tried it was a bit unfair. 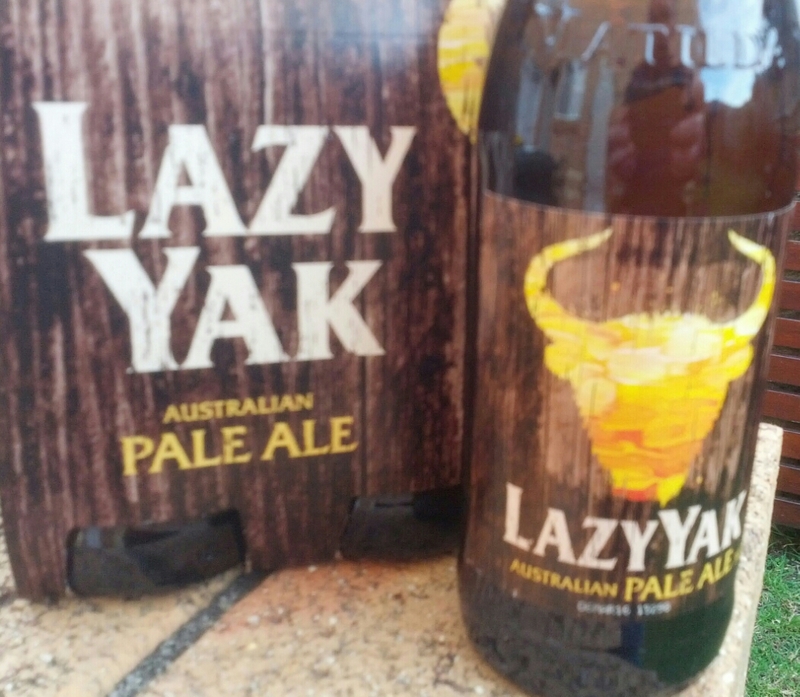 5) And, while it may see me lose some more beer geek cool points, I reckon the Lazy Yak’s alright. It’s definitely not just a watered-down Fat Yak. In fact, I kind of prefer it to the fatter sibling. There’s some subtle citrus notes and, while the back end may be a bit thin, it’s still a pleasant enough drop. I wouldn’t be surprised if it sold like gangbusters in summer. But if they’ve tricked me and just rebadged their beer The Duck’s, man, I am going to be pissed off. They mention the Yakima valley because they’re going to be using it in all of their ‘yak’ family of beers from now on. Pretty sure it’s just in the beer so they can put the name on the label. I used to sell it at work and they didn’t even tell us what variety it was on the sell sheet they sent out, whereas normally they would. Had a Lazy Yak in the Regatta Hotel in Brisbane, well a couple of Lazy Yaks. Pretty good I thought. Just mentioning it in our travel blog (https://jwalkingin.wordpress.com/) and came across your beer blog whilst researching. Great blog by the way, really interesting. Good beer too. Thanks for the kind words, Jonno. And I reckon Lazy Yak is okay for for it is – though some in the beer geek community don’t rate it.